How can it be? Calgary, where I was born and raised, should have my heart. 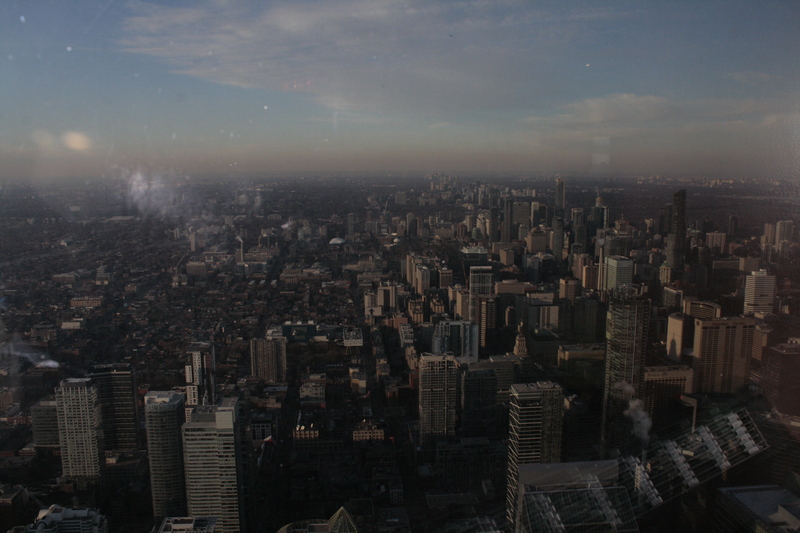 Instead, you, my dear Toronto, quite handily took it from her; it has been yours since the day we met. I have returned to cities many times, but every time I came back to you, I knew that something was different. It’s true, some parts of my return were routine: I landed at Pearson Airport, disembarked the plane, retrieved my luggage, walked through the sliding doors, down the corridor, and then took the 192 Airport Rocket to Kipling subway station. It was only when I entered the subway train that my return would become meaningful. It was always then, my dear Toronto, that I knew I was home and could release myself into your hold. The movement of the train towards the core of your activities always reassured and excited me. In my excitement I would scoop up a discarded Metro newspaper from the floor and begin to read, eager to entangle myself once again in all your affairs, rhythms, and pursuits. 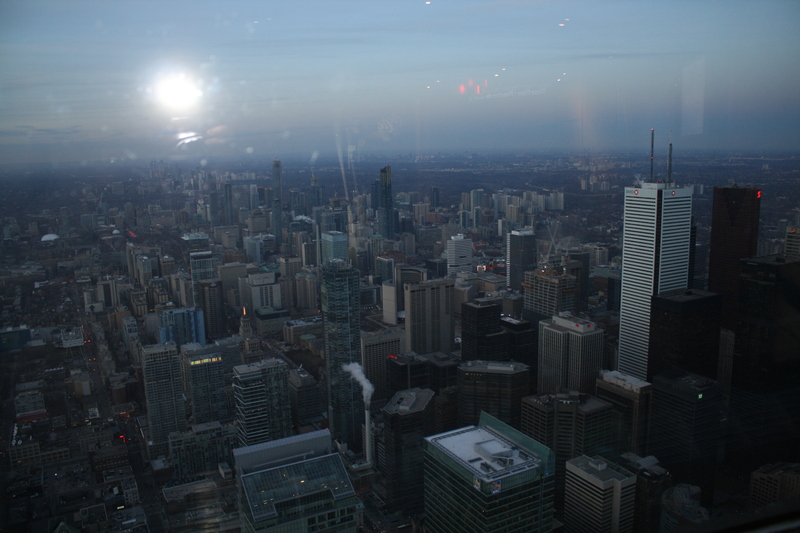 I will never forget how easy it was to be with you, Toronto, when I first arrived in August of 2005. You immediately found a place for me, accepting who I was and where I came from. You simply let me live and be. These things mattered to me because they were noticeably absent in Montreal, where I had lived for three years previously. I could never shake the feeling of being an outsider in that city and doubted that I would ever find my niche there. There were too many hurdles to overcome to improve things between Montreal and me, and I was too immature and indifferent to address any of them at the time. You and I, however, gelled straightaway. With no obstacles in our way, we moved forward along the same path and towards the same goals. It was only after we met that I understood the symbiotic relationships we have with cities and how these relationships help us uncover parts of our true selves. In Calgary, where I lived until 26 years of age, I used to ask myself why I didn’t feel passionate about anything. (This bothered me. I was young and I wanted to feel passionate about life, but for some reason I did not. Maybe one day I will write Calgary a letter, too.) After I met you, however, the question never arose again; for the first time in my life, I felt my passions begin to stir inside me. Your activities and appearance made me come alive: street cars honking and ringing; pedestrians, vehicles, and cyclists zipping and zooming; messy storefronts, disheveled buildings, and graffiti-covered walls alongside dirty laneways; cafes and restaurants, crowded and buzzing; ethnic scenes unfolding in front of homes, kissing and lopsided; loaded intersections, bright lights, and animated skyscrapers. No matter my destination, my walk toward it was always gratifying, stimulating, and calming. I was absolutely delighted to play a part in your spectacle. Perhaps, more than anything else, I was comforted by your power to help me get to know myself. Your density and accessibility uncovered my love of walking. Your professional culture reflected my career goals. Your range of activities satiated my curiosity, stoked my love of discovery, and confirmed my open-mindedness. Your ethnic neighbourhoods cemented my preference for difference over sameness and enabled me to “travel” without leaving the city. Your assorted restaurants and markets deepened my love of food. Your independent coffee shops aroused my creativity. And your countless cinematic offerings enabled me to get better acquainted with my key passion: film. 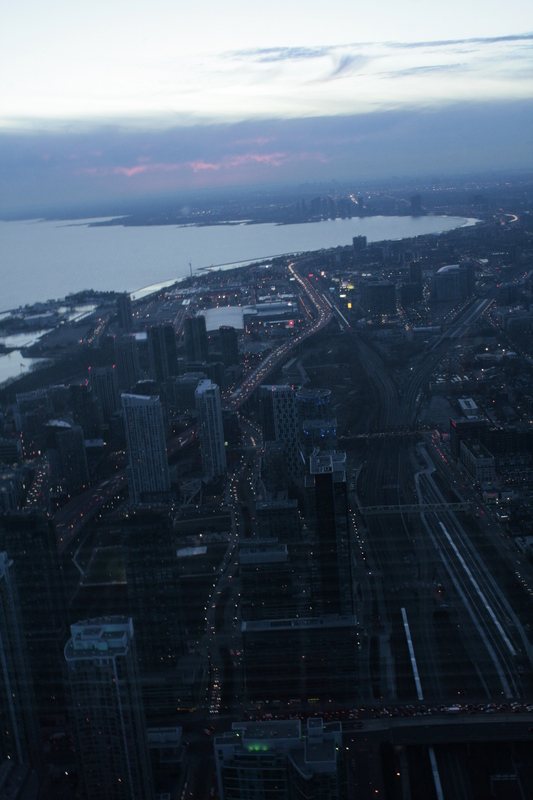 Because of you, my dear Toronto, I began untangling and liking myself; I began liking what I could become. When I came back to you in June of 2015, after a three-year hiatus in Norfolk, I was so happy to be back in your warm, welcoming embrace. The things I loved about you have remained largely untouched and are still here for me to enjoy; the places I once frequented still remind me of the most formative years of my life; and the friends who didn’t leave you even as I had compel me to think twice about ever separating from you again. Since my return, I have noticed that when I look into the eyes of a friend, I see parts of my history flash before me and instantly feel rooted to you. The resulting emotion is wonderfully physical: a swelling of my heart and a warm surge filling my body. Only you have ever had this effect on me. My dear Toronto, I’m sorry that I left you, even if for a short while. My heart pulled me in another direction and I heeded its call, as I always have. In Norfolk, I saw different things and met different people, with every difference creating an internal shift. Mature love was the consequence of our distance. I know how happy you can make me now, but I also see how you may diminish my happiness in the distant future, when I will be older and will need you the most. I wish things could be as they used to be between us, but my expanded view cannot help but reveal both your virtues and your flaws, your potential and your limits. My dear Toronto, I’m sorry, too, that recent affairs have so greatly impacted me. I could not have predicted that two months after my return to you, important relationships in my life would begin to crumble. These changes depleted me of so much strength and faith, forcing me to question and reevaluate my needs, expectations, and plans. Now I am with you, feeling certain of my love for you, but also intensely aware of the ways that my fragility and desire for stability may affect our future together. Past choices and life’s unpredictability have forced me to wonder about how far my love for a place can stretch and whether a place can fulfill me completely. I wish things could be as they used to be between us, but I know that I will never be exactly as I once was. My dear Toronto, will you let me do what I came here to do? The mere thought of leaving you crushes my heart. Will you soothe my anxieties? Will you shed light on my dark moments? When I am lost, will you notice? Will you ask how you can help me? I have always been the ear for others. Will you listen to me when I need to speak? And when I am old? Weak? Lonely? Will you be my pillar? You and I were inextricably bound the day we met. Because of you, I came into my own. Because of you, I know myself more than I could have imagined. And because this is so, my dear Toronto, I wonder: Will our bond tighten? Or will it come undone? P.S. Do you remember that brisk December evening when I sat on a bench with a good friend at the busy King and John Streets intersection? I could only give her half of my attention as she spoke; your buzzing, flickering street lights, whizzing pedestrians, and glistening skyscrapers transfixed me more. 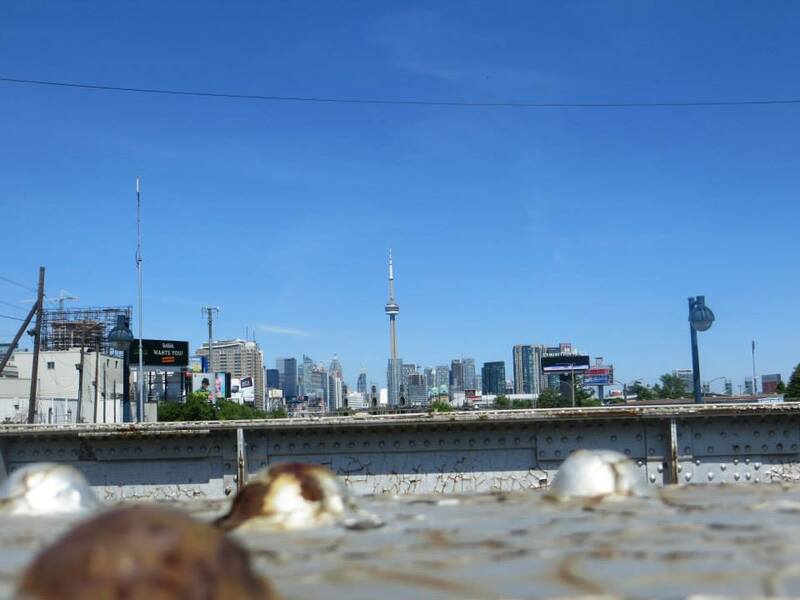 After a moment or two, I looked down and took a bite of my warm, juicy Toronto hotdog, heightening the perfection of that moment. Then and there, I knew I wanted to be nowhere else; that I was exactly where I wanted to be; that my love for you, Toronto, was one of the few certainties of my life. Very well written… Speriamo che non sia un amore a senso unico. How lucky Toronto, and its inhabitant, including that friend you shared a hotdog with, is to be given such affection. Often It takes a moment away from a place or person to realize how much you miss them and how much of an impact they had on you. Whenever I’ve been gone for a while and then come back, it’s that moment on the highway riding back from the airport that makes me feel so liberated and empowered, ready to tackle anything as I return to my familiar turf. Toronto is so big yet made up of little endless nooks that embrace you and make you feel like there is an abundance of energy to give you if you just put yourself out there. Thank you for sharing such a beautiful letter to the city that I too love. Seeing emotions about a relationship on paper help us vocalize and understand better our needs and expectations as well as evaluate what can be done and see what the next step to take is. I feel so lucky to have such an insightful friend like you. Thank you for your lovely comments, Melanie. I especially like the last part about expressing emotions, needs, and expectations on paper. It was incredibly cathartic writing a letter to Toronto: it helped me get some important stuff off my chest, move forward, and know better what I need to do next. I would recommend letter-writing to many people.